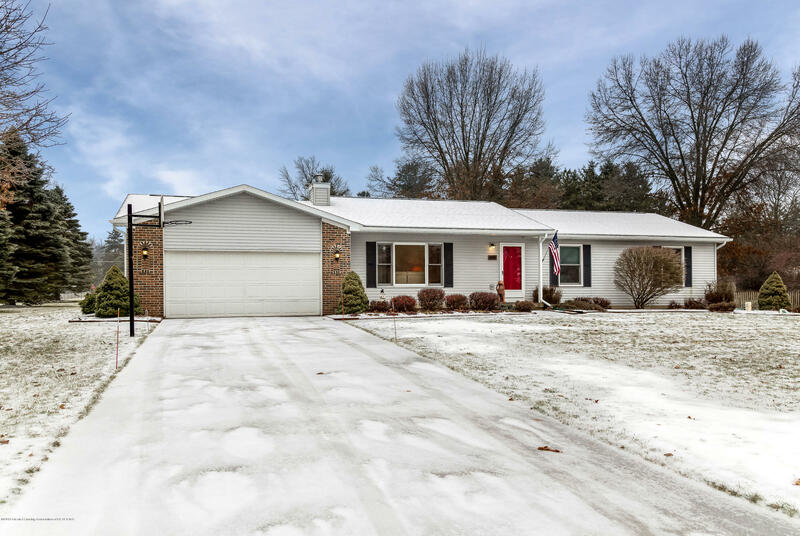 You'll love this move-in ready 3 BR, 2 full bath ranch, located in the popular Haslett School District with Bath Township taxes! The 1 acre lot has a shed for yard equipment storage and a gazebo for relaxing evenings outdoors. The peaceful Bonnie Meadows neighborhood is convenient to highways, shopping and entertainment. Single-owner home has been meticulously maintained and updated. In 2018: Stainless Steel Appliances, Deck and Sump Pump and Gutters replaced . In 2017: Anderson windows installed in nearly all window spaces. In 2014: Roof, Gas Fireplace Insert, Hot Water Heater and Anderson Slider installed. In 2013: new Gas Furnace installed. Schedule your private tour today!